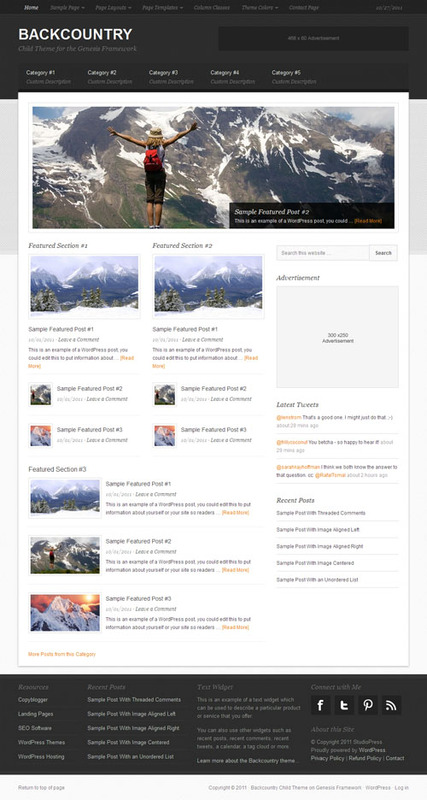 Backcountry by StudioPress is a WordPress theme that has quite a few potential users that will all have an unusual characteristic in common for WordPress theme demographics. This theme specifically aimed at businesses and individuals that have some sort of association with the outdoors that they want to show off online. Theme is provided with a great design that has plenty of room for images, which will be important if you’re trying to show off your outdoor adventures. Backcountry is built on the Genesis framework. This framework is used on most of the designs from Studio Press. 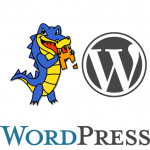 The framework allows you to change elements of your site without having to worry about touching any of the source files. For designers who aren’t professionals, this means that it’s possible to get a site up and running without having any web design skills at all. Web designers generally appreciate these types of frameworks because they allow them to make changes much more quickly than they could if they were working directly on the source code. Backcountry, because of the Genesis framework, would work well for a professional designer making a site for an outdoor business or, if you happen to own such a business, you could probably get the site going yourself. 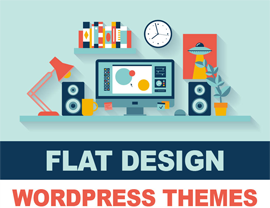 This theme is compatible with the WordPress 3.2 and 3.3 platforms. It allows you to customize the header very easily, to add featured images, to put widget content on your homepage and much more. It provided with four different color styles that you can apply using the options menus and there are six different layout options that you can experiment with just as easily. This makes it an ideal choice for people who don’t really know that much about web design would want to get under the hood of their own website, nonetheless. Backcountry also has a significant advantage over many competing teams where support is concerned. StudioPress offers unlimited updates and unlimited support for all of their themes. Even though you’ll find the Genesis framework extraordinarily easy to use, you still have somewhere to turn if you run into a rough spot at some point. This makes it ideal for people who want to get their own website up and running. If you are a professional, however, you should give this theme some consideration for clients that have a strong connection to the outdoors or to the environment. For more information, or to see their complete collection of templates, please visit studiopress.com. Good blog! I really love how it is smile on my eyes and the data are well written. I am wondering how I might be notified whenever a new post has been made. I have subscribed to your RSS feed which must do the trick! Have a great day!